Branding reaches us starting at a very early age. We identify brands at a glance. The competition for our attention is critical. First and foremost is the logo or visual identity – the first thing put in front of everyone who comes across your firm or company. Not only is your identity tied to the design of your logo and the typeface used in it, but color plays a major factor as well. If you are looking for a home improvement store, you see orange and locate a Home Depot. If you want a quick cup of coffee, you might think of Dunkin Donuts with its pink-and-orange “double D.” Their signs are easily recognized while walking or driving down the road. But building a powerful law firm brand involves more than a logo. 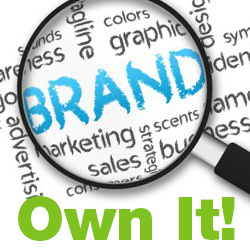 A powerful brand conveys a message about who you are and what you stand for. It has the power to influence purchasing behavior by being positioned as a leader in your market area. Your message stands for something in people’s minds. When you have an established position, you can own the market. But this does not happen overnight. A number of steps need to take place, both internally and externally, to build a powerful brand. Any branding effort has to start with the firm’s leadership, along with the cooperation of the administrative staff. Reviewing market research is critical to finding out where you are positioned in the legal marketplace. Can your clients differentiate you from other firms in similar size and region? Can you describe your brand without using words like “service” or “attention to detail”? The results of your market research will guide you in developing your brand, whether you need to start from scratch or fine-tune what you already have. It is not uncommon for a law firm to have four names (or more) strung together representing the lead or founding partners. Consider shortening to one or two names (the more unique, the better), or at least using a shorter version for your legal marketing purposes. If you ask some of your clients, they most likely are referring to your firm by the first and/or second names, not the full list you may have on your letterhead. While this is always the biggest challenge, the results are worth it and allows you to develop a strong visual identity. Incorporate your law firm’s characteristics into your brand. Are you “forward-thinking” or do you “think outside the box”? Do you put “clients first”? What makes you stand out from the other law firms? Practice what you preach. Even with a great brand, if you have poor customer service, clients will go elsewhere. Keeping clients’ business requires meeting their expectations and delivering the promise of your brand. The right message is key to staking out your place in the minds of your clients and potential prospects, so the visuals must support your message. While your logo is part of your brand, it is not your brand alone. A firm can have a strong brand and still update its logo without compromising the brand. This allows you to give your firm a fresh, updated look that embraces your brand message. Finally, don’t attempt to build your brand alone. Hire professionals who work in your industry and know how to bring every aspect of branding to life for your firm. Every detail must be taken care of. Branding is not just a logo, slogan and letterhead, but everything that leaves your firm, from e-mail signatures to electronic newsletters, advertising, collateral and much more – including social media. No detail can be overlooked or your brand starts to fall apart.